I saw a really neat Valentines idea on pinterest (you can see my Fathers Day pinterest board here) by As Time Flies and decided to give it a go with Reuben for fathers day. This is a big deal!! Anyway this fathers day gift from Reuben was super easy and no cleaning was required, except Reubs at the end. 1. 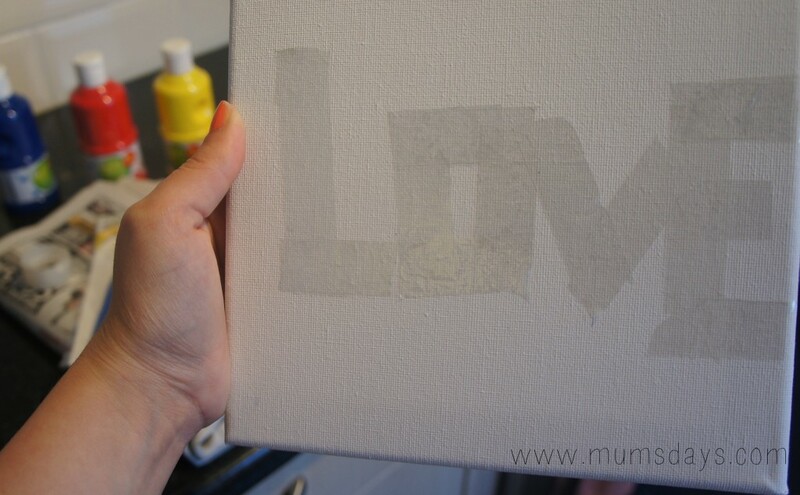 Writing your word on the canvas using the sellotape and scissors – I’ve done Love (not especially neatly but that adds to the ‘toddler’ element, I believe!) but you could do ‘Dad’, ‘Daddy’, ‘Daddy cool’ etc. 2. pop your paint in separate bowls – to avoid ‘brown’ soup! 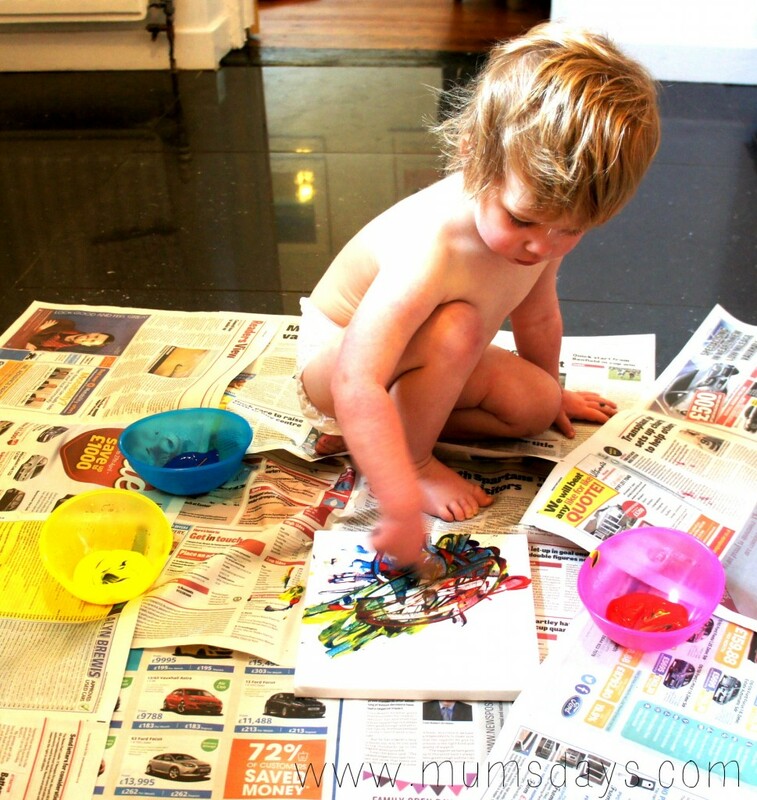 3. put the newspaper down, strip your child and set them loose on the canvas! I just had to demonstrate once and Reuben was all over it. Oh dear – brown soup has started already! 4. You might want to fill in some of the corners with an actual colour that isn’t brown! 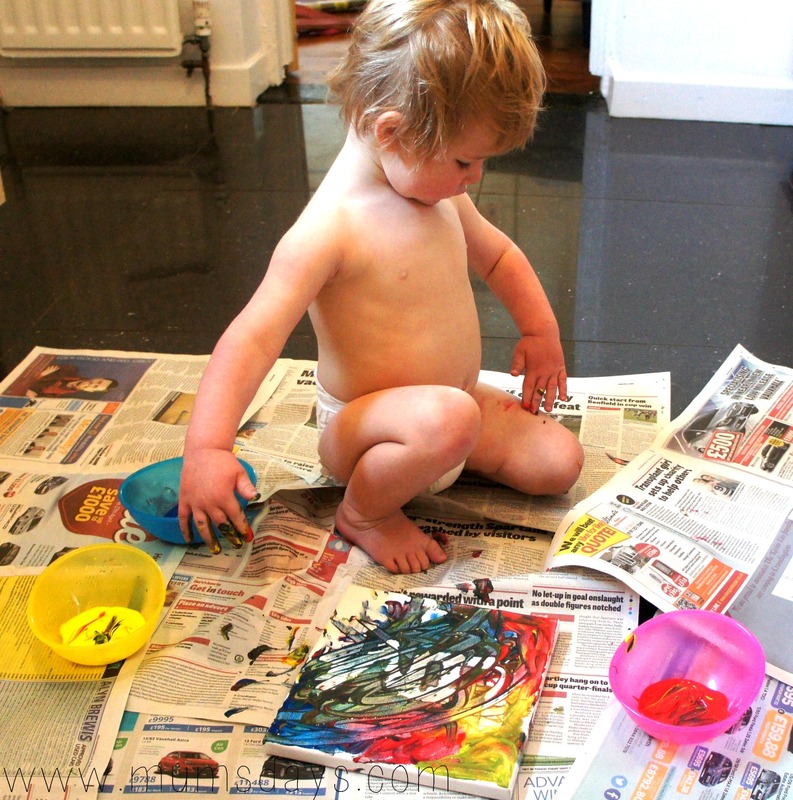 And then be on tenterhooks for when toddler looks like he’s had enough – painting themselves is a good sign…Reuben started wandering off soon after! 7. …the most satisfying bit, peal off the sellotape! Our’s was pretty poor quality tape so the paint bled a bit, but I still think it’s pretty cute! 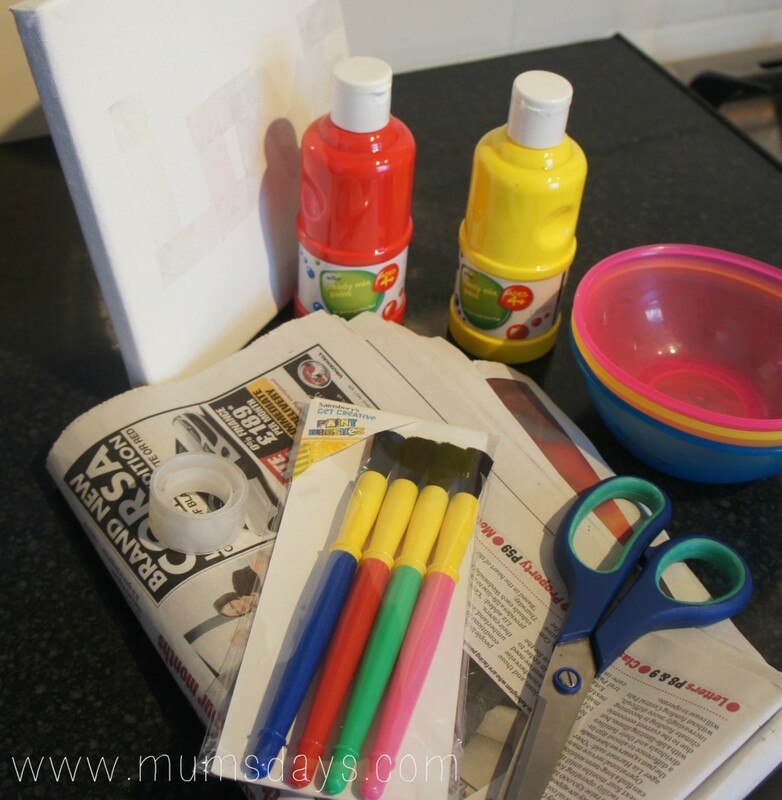 What DIY Fathers Day gifts are you making with your little ones? I’d love to hear what you’re up to! 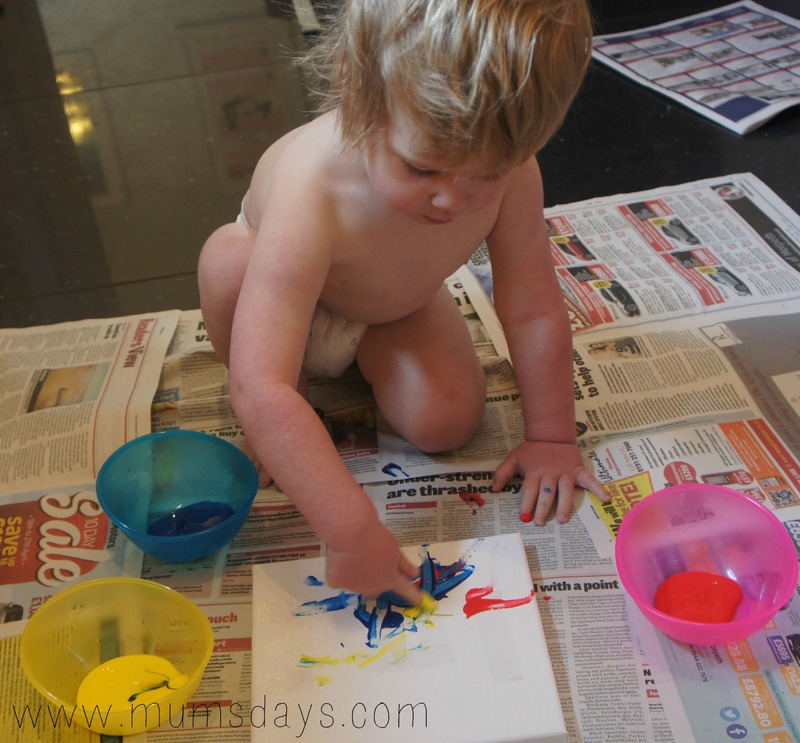 Thanks so much for linking up to my blog. You guys did a great job. I love it. Love this idea! Will be pinning it to my Father’s Day DIY Gift Ideas board!!! That’s such a great gift. 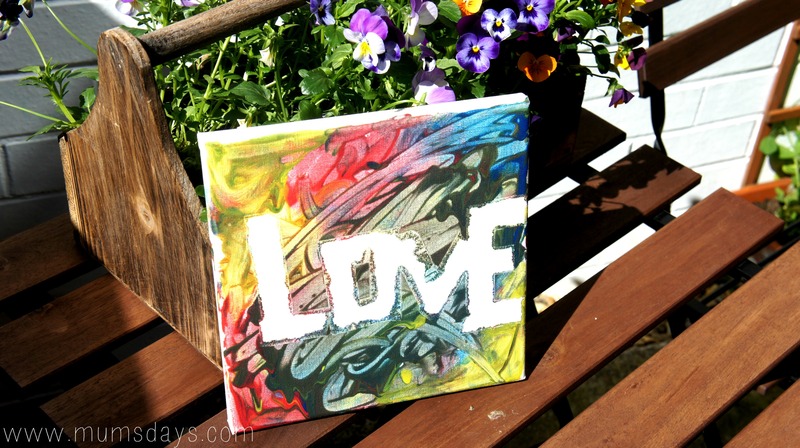 Even older kids could do something similar with the ‘love’ on the canvas. 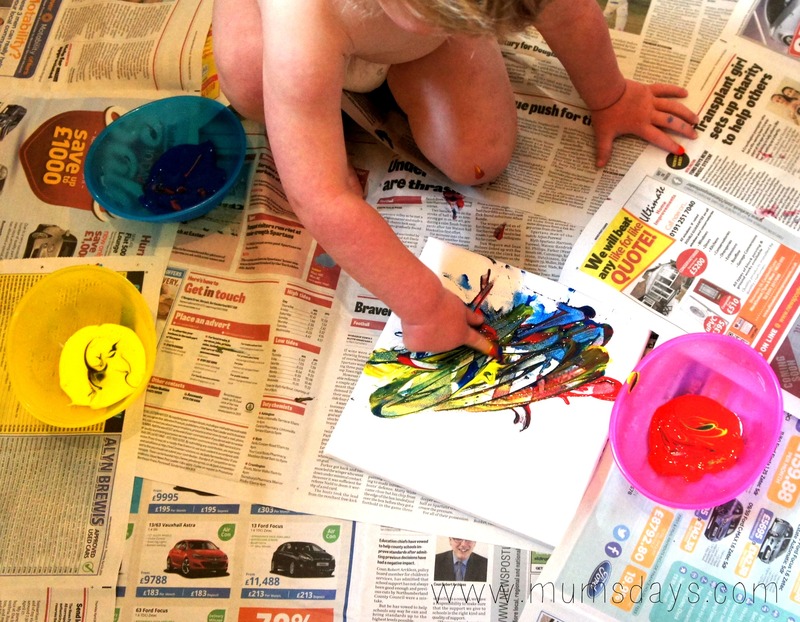 Woah – That child has talent! 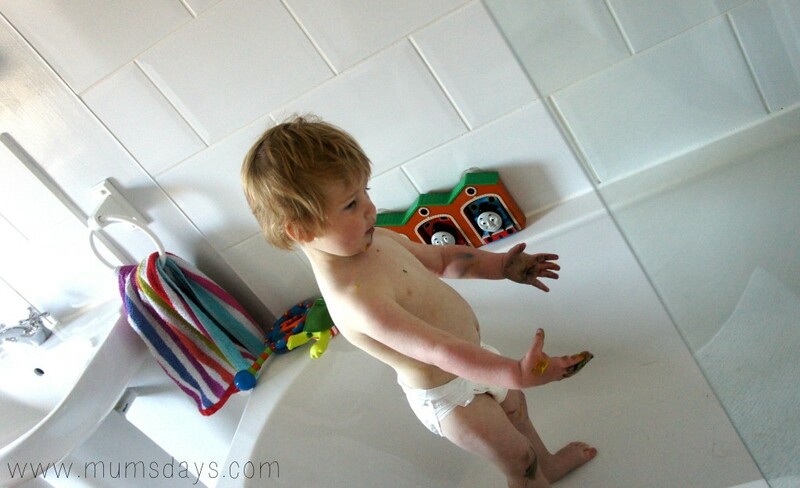 Ha ha Iove that you stripped him down and put him straight in the bath! I dread my daughter asking to paint for similar fear of explosion, but when we do, it’s fun. I’m not in the least bit crafty or arty but we did hand prints yesterday which were easy and came out well. Oh I love this! I don’t want to wish away LBO’s baby months but I am so excited to do things like this when he’s a bit older!! So cute! What a fantastic idea! 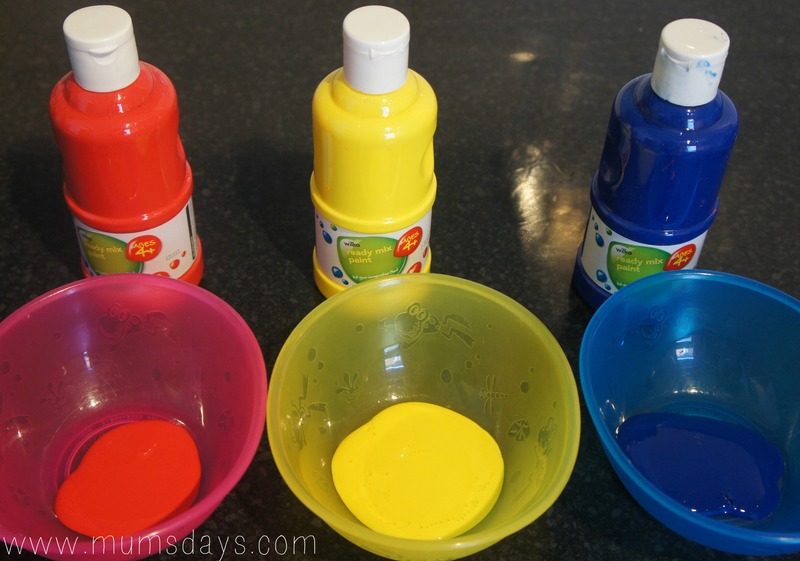 If I hadn’t already had to deal with a paint explosion today and two toddlers resembling two smurfs I would have totally gone for this but unfortunately I am also allergic to housework so I will be looking into the salt dough option! Will def keep this in mind for next year though. 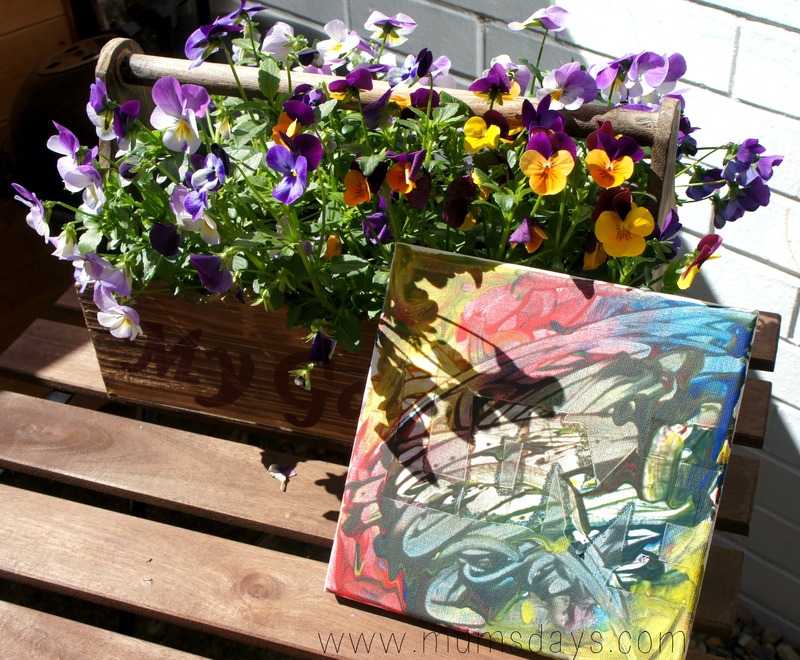 I’m so glad I seen this, I got a big canvas the other day and was going to paint a sunset on it and put pictures of my husband teaching our boys to fish but now I think just writing fishing buddies in the tape and letting them paint it would be better! 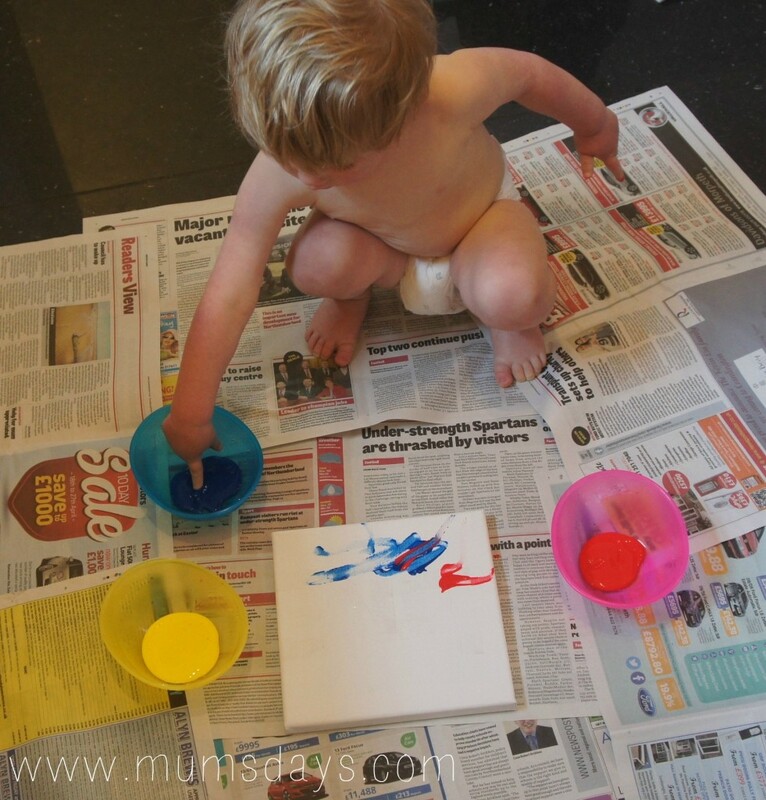 My boys are one and two and I think they would have a ball painting for daddy! We’ve never braved paint yet but I love this! Off to wilko to get supplies!